Well that was easy… Move was completed today, no downtime… thank you Akeeba backup/kickstart – seriously good product if you are using Joomla, I even use it to create my dev sites. Took me less than 15 minutes to move this site, including the FTP transfers! Its that time, I’ve had the renewal reminder and Hostmonster are offering renewal at an inflated price, as every hosting company does (and insurance company or that matter, whatever happened to customer loyalty?) – so I do what anyone would do and trawl the ‘net trying to find the best hosting deal out there. I host a small number of small sites with low traffic requirements, my requirements are not out of the ordinary – Joomla hosting pretty much covers it. From whatever hosting I choose I expect an intuitive interface, good support and above to get what I was promised. Now where was I… ah yes, initially I come across the GoDaddy 4GH Ultimate package; features included (at time of writing) an SSL certificate, static IP and the usual unlimited bandwidth/storage (including fair use policy rubbish and all that you get with every shared hosting provider). So I signed up and started to transfer my data across… that’s when the fun started. Firstly, the GoDaddy way of doing things appears to be to fragment the administration of hosting features into as many different control panels as possible… one for SSL, one for Email, one for Hosting… I’m not daft (at least I like to think I’m not!) but its a mess, period. Next there’s no support for IMAP… huh?! This is an Ultimate hosting plan, they offer no better shared hosting… of course you can have IMAP if you upgrade your email hosting from the basic package supplied with the hosting deal (see where the separate control panels come in – email is essentially a seperate product from your web hosting). The worst thing was however the level of additional customisation, and additional issues I had moving the site across. I kept getting the PHP ‘no input file specified’ when I was in the Joomla Administrator interface; this then stopped the entire site working for up to 20 minutes. Remember, this site worked just fine with the previous host. My encounter with GoDaddy support wasn’t inspirational either, I laid out all of the steps I had taken to try and resolve the problem myself using the .htaccess file, and yet was advised I should probably make some changes (all of which I had already advised I had done) to the .htaccess file… cunning! I never got the issue resolved and had to rollback the migration; I’d been through every additional configuration I found on the GoDaddy forums, via their support and even trawling Google search results. I’m certainly not the first person to encounter this issue with Joomla (or Magento) running on GoDaddy shared hosting. Needless to say this was a nightmare. Finally, there was the issue of performance. I’ll admit it, I was suckered in by the 4GH thing… the reality was that it was certainly no faster when the website I moved across was working, if anything it was slower. Experiential learning 0, stupidity 1 – lesson re-learnt on this occasion: when something sounds too good to be true it generally is. So, here we are again… prices that look too good to be true, features that sound, well amazing for the money. The good news is that iPage support IMAP (at no additional cost!) and that they operate a single control panel (vDeck)… after GoDaddy this was a revelation. vDeck is not as intuitive is cPanel, but unless you’re particular about your control panels I think you’d get over it quickly enough. The bad news came after I restored a site; no InnoDB support. What on earth is InnoDB you ask? Well I found myself asking just that very question. For a number of the sites I have built I use Rocket Theme extensions and Themes, some of which (RokGallery) require InnoDB. I didn’t fancy redesigning or rebuilding these sites with new templates and extensions, so iPage was gone. 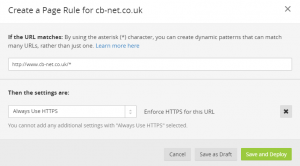 In their defence the support response I got was almost instant, I liked the administration interface and loved the option to use the Akamai CDN for free, as well as the Site Lock subscription being part of the hosting package…. had they supported InnoDB that is where this site would be hosted today. So where did I end up (or will I end up)… Bluehost, which is one and the same as Hostmonster, only instead of paying $6.95 /month I’ll pay $3.95 for exactly the same service, on exactly the same servers, in exactly the same datacenters supported by exactly the same people. No revolutionary 4GH technology, or indeed ‘green power’ but it will work, and will continue to work as it has done for the last 4 years without issue… YMMV. Lets face it people, the worlds economy is in a mess and money matters…. #rantover. After a recent bout of Citrix problems there are some new troubleshooting tips and reccomendations which may suit your environment. The VBScript section is also constantly being updated with new, automated management tasks that should make your life easier! Author Chris BradfordPosted on 28th May 2008 19th September 2016 Categories General Site NewsLeave a comment on Quick Update! All documentation can be downloaded in PDF format using the PDF icon at the top-right of each article. Printer-friendly versions of each document are also available using the printer icon at the top-right of your chosen article. NEW 27/09/2009: If you are looking for something specific try out the new search functionality here. Author Chris BradfordPosted on 28th May 2008 Categories General Site NewsLeave a comment on Welcome…..